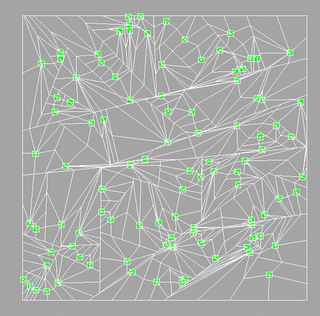 Here's the first output from the Voronoi/Road network generator. Its been really slow going and i dont know why... 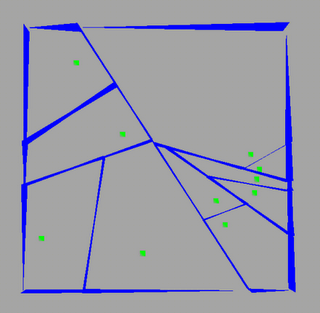 The green are the generating dots (random at the moment) and the blue lines currently just keep dividing each time a dot is added. Not a true veronoi yet, but soon!